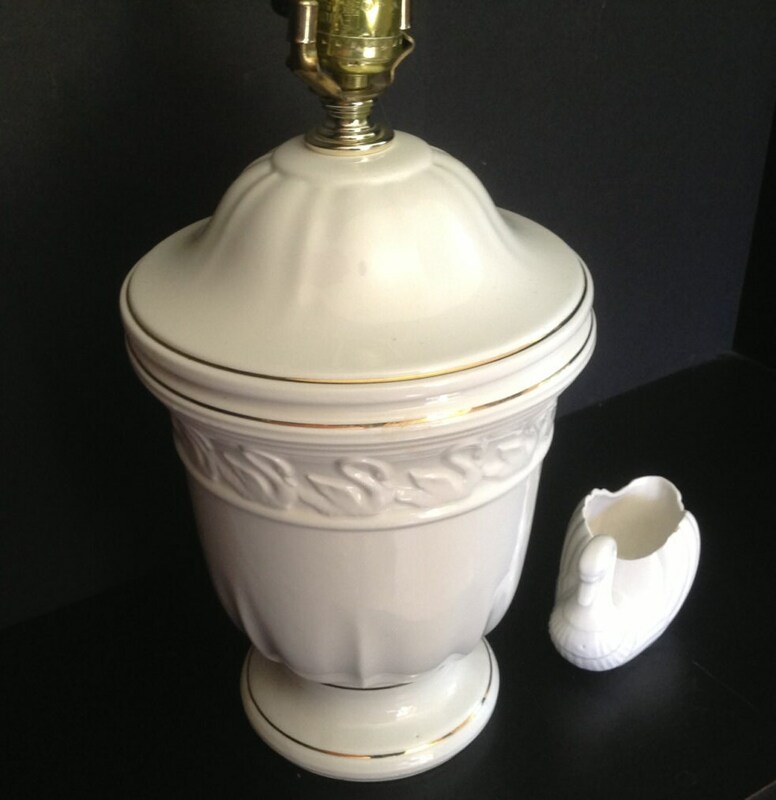 Offered is a vintage ceramic lamp. 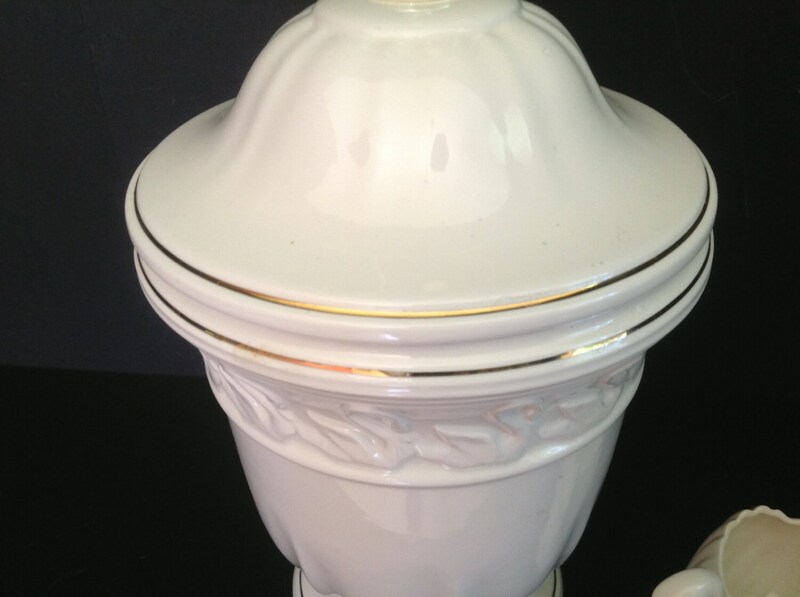 It is ivory with gold trim banding. 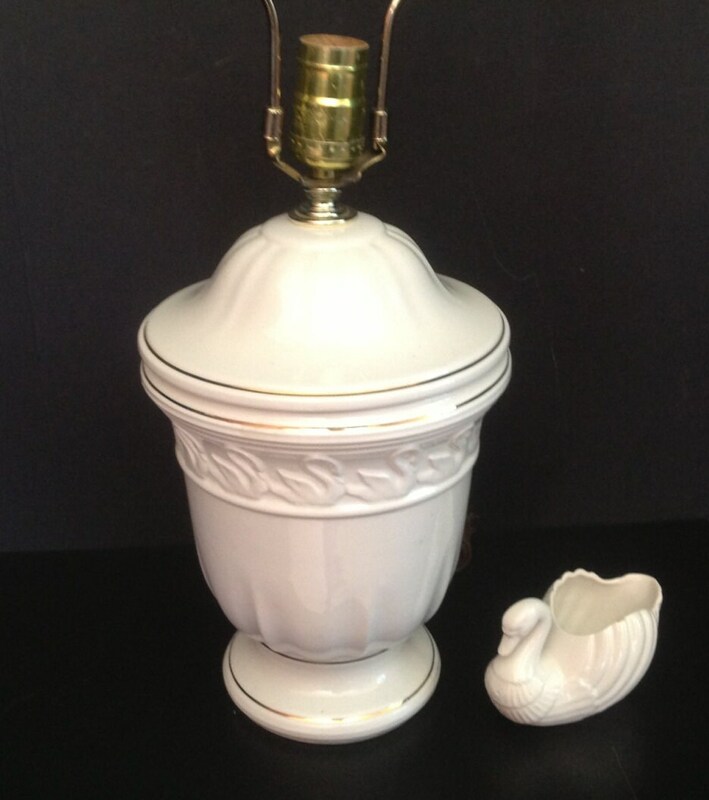 The design depicts 14 swans a' swimming in a circle around the lamp. The entire base is ceramic so need to worry about a metal base tarnishing. The harp and brass finial have only some light tarnish. I just now notice two very small chips on the edge in the back above the cord (see the last picture). I may need to remove the harp to fit both the harp and lamp base into a shipping box. 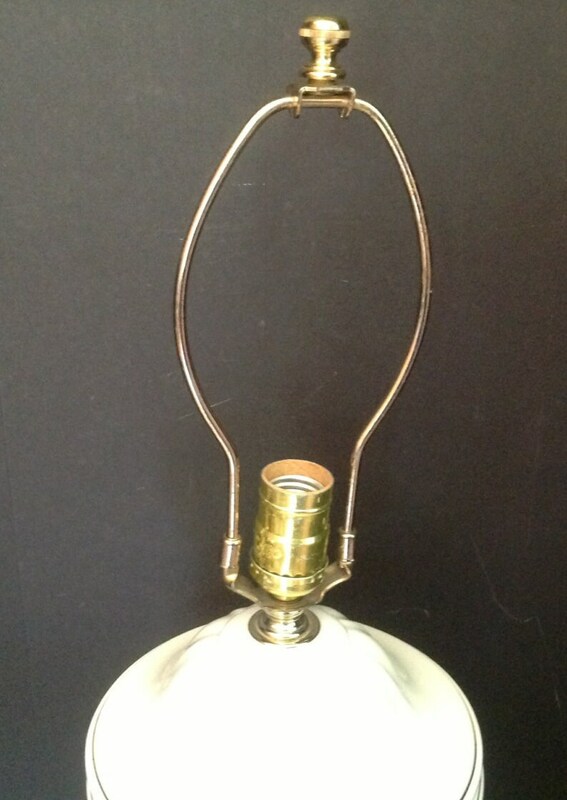 This lamp is very elegant. SIZE: 11" tall plus the harp height of 10 1/2"